WD Black performance storage is designed to enhance your PC experience across heavier computing tasks whether you are a digital artist, video editor, photographer, or gamer. Available with an impressive 256 MB of DRAM cache on higher capacity models, the WD Black drive is optimized for drive performance so you can spend more time experiencing the things you love most. Enhance your PC's performance even further when you combine a WD Black drive with an SSD for a dual drive configuration, allowing you to benefit from the additional caching of your operating system onto the SSD for increased performance. 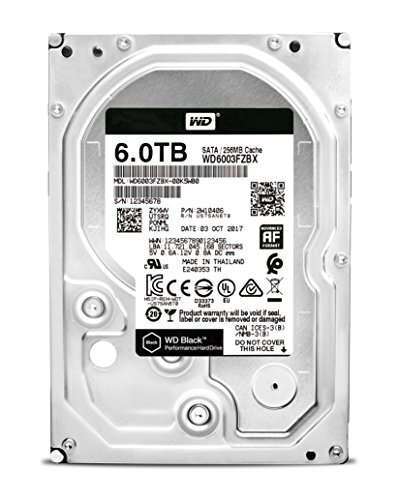 All together, the WD Black drive gives you the hard drive performance, capacity and an industry leading 5-year limited warranty for an inspiring three-in-one storage solution.